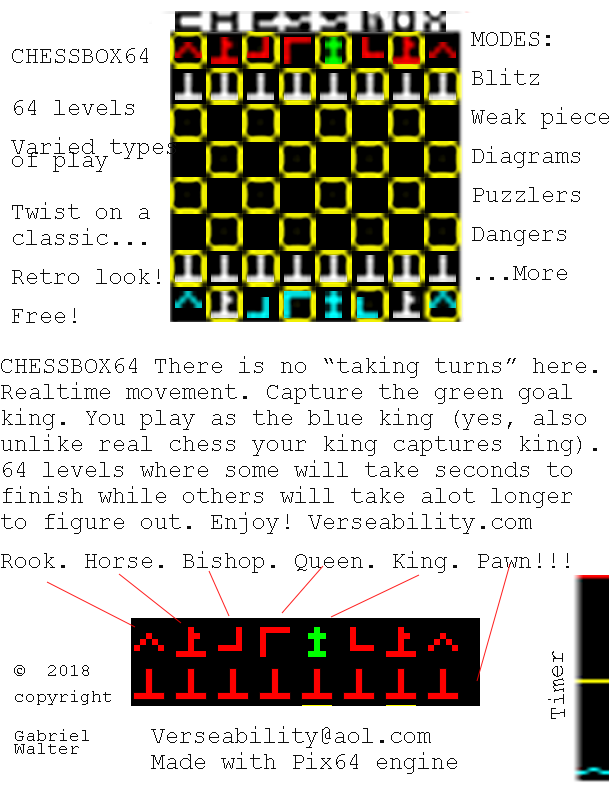 CHESSBOX 64!!! 64 levels that will take about 64 minutes to complete. Some levels are super quick while others need strategies to figure out. 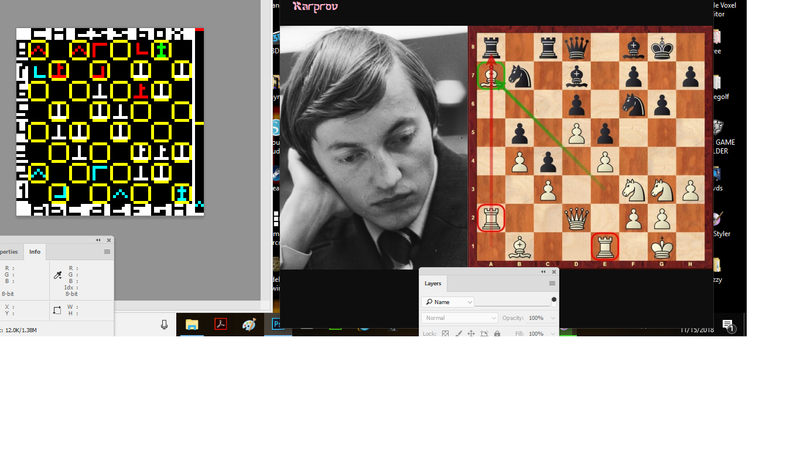 The game of chess re-imagined..
Also included is the PSD for you to move around pieces and save as your own png! Use it as a level editor, make your own level pngs and put in the carts folder! Please send what you made so others can play it too! Enjoy.